Women account for more than 40 percent of the agricultural workforce worldwide but they own less than 20 percent of the world’s land, earning just a fraction of what their male counterparts do. 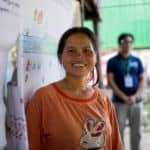 As the UN’s Commission on the Status of Women explores how to empower rural women, Farming First is sharing stories of women all over the world that are bridging this gap in agriculture. In a country where less than 60 percent of women are economically active, female farmers like Jahanara Begum, 45, face negative comments and scepticism from their communities and even their families. But for Begum, the results spoke for themselves after she became a Farm Business Advisor and started selling vegetable seeds and other inputs like fertilizers, vermicompost and pest management tools to farmers with the support of PROOFS (Profitable Opportunities for Food Security), a Dutch-funded project led by iDE and partners. 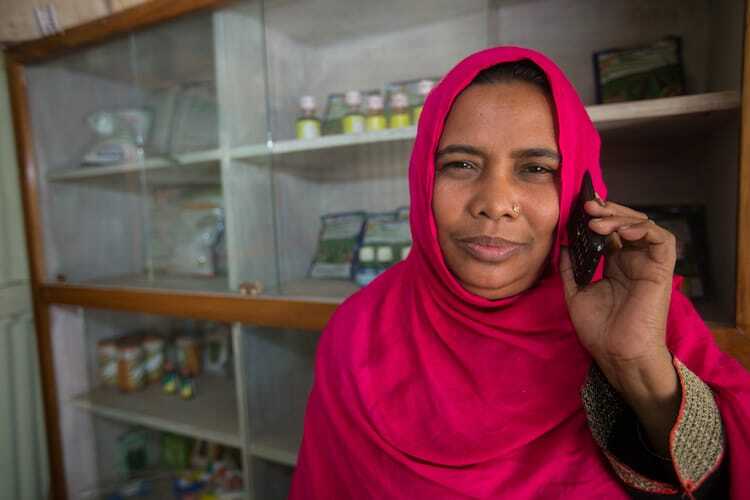 Begum used previous contacts in her network to her advantage – not only to reach 250 producer groups as part of the project but to go beyond that to reach more groups in remote regions. She later took out a loan from a financial institution, overcoming social norms and gender bias to expand her business and strengthen her linkages with private companies. Her business track record ensured that the financial institution did not deem her too risky to give out the loan. 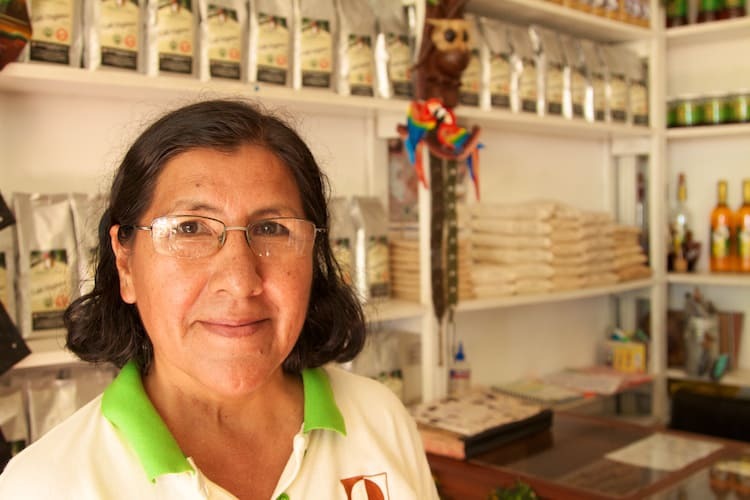 As Esperanza Dionisio Castillo rose up the ranks to become general manager of the Pangoa Cooperative, a cocoa-growing union in San Martín de Pangoa, Peru, she found few other female role models to follow. She experienced greater scrutiny and mistrust in leading the cooperative as a woman. 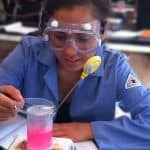 But after proving herself by bringing higher and more consistent incomes to rural families, Castillo wanted to ensure that other women found an easier path. So she offered rural female members support through health services, leadership training through the co-op’s Committee for the Development of Women and access to credit via social investment fund Root Capital. Accessing credit is often a challenge for smallholder farmers, and it is even harder for women. That’s why a USAID-funded project implemented by nonprofit CNFA is training women in the “warrantage” credit mechanism. The system allows farmers to use their grain as collateral to obtain credit from a bank or microfinance institution rather than selling their harvest all at once. Under this system, farmers like Fatima Nadinga can deposit their crops and access credit to invest in their farms and generate more income, while also strategically selling their crops at the highest price. 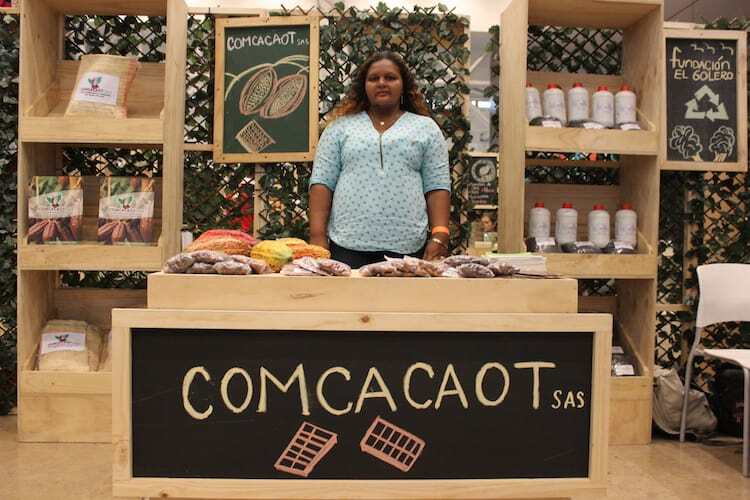 Lourenço, a young Mozambican, had aspirations of owning her own business. But she wasn’t earning enough selling food at her small market stand to support her family. Her situation is not uncommon; women account for almost 90 percent of the workforce in Mozambican agriculture but represent just a quarter of the landowners holding official user rights. But Lourenço’s prospects improved when she was recruited by Export Marketing Company Limited, a major agricultural trading company, with support from Fintrac’s Feed the Future Partnering for Innovation program. Lourenço received three training sessions in the first six months and a 50 percent discount on her initial inventory of inputs, like fertilizer and crop protection products for her input shop. She now serves almost 1,000 farmers and has become financially independent. In Colombia, where women make up 40 percent of the cocoa growers’ association COMCACAOT, Lidia Grueso, 41, has already overcome gender bias and prejudices to become a union manager. But the 5-year-old association has still faced the challenge of accessing credit and loans for its members. USAID’s Rural Finance Initiative has helped individual farmers access loans, vouching for almost 375 of its members. This allows women to afford inputs like fertilizer to improve their business and to better pay the staff harvesting the cocoa. After attending trainings sponsored by IFDC’s 2SCALE project, Yinka Adesola learned how to increase farm productivity with good agricultural practices and integrated soil fertility management. She was also taught business management strategies such as marketing and selling crops. Adesola knew she needed to inspire others with what she had learnt. “I wanted to hold other trainings to attract more youth to agriculture, to show that agriculture is a lucrative business,” she says. Now, every three months, trainees from all around Nigeria come to her field school, the Entrepreneur Youth Multipurpose Cooperative, to learn vegetable production and farm management. Ethel Khundi (32) with daughter Memory (13), Whunachu Village, Malawi. Photo by Hugh Chaloner. The impact of the gender gap in agriculture worldwide results in a yield gap of up to 30 percent because women are unable to access the same resources as men. But a Self Help Africa program in Malawi has trained female livestock keepers in conservation farming techniques that use zero tillage to safeguard moisture in the soil, allowing them to diversify their farms. 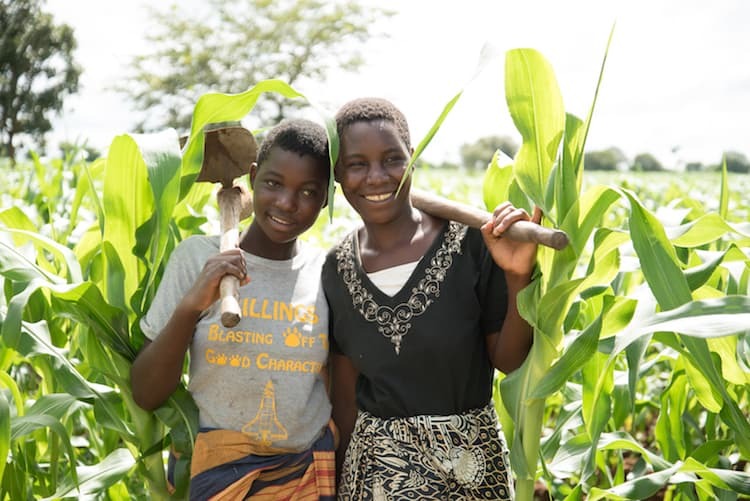 As well as raising her pigs, Ethel Khundi, 36, has also been able to produce three times more maize, which was a valuable insurance when she lost her entire drove of pigs to swine flu. Instead, her maize harvest offset the losses and kept her on track to expand her home and set up a village shop. Agribusiness in Zimbabwe is dominated by men, of whom almost 70 percent are employers. Meanwhile, women are much more likely to work unpaid in agriculture than to be a paid full-time worker. Yet women like Ruramiso Mashumba are blazing a trail for more female agripreneurs. After returning to farming in Zimbabwe following her studies in Agriculture Business Management at the University of West England, Mashumba was elected as the national chair of the Zimbabwe Farmers Union Young Farmers’ Club in 2014. She also founded Mnandi Africa, an organisation that helps rural women to combat poverty and malnutrition by empowering and equipping them with skills and knowledge in agriculture. Learn more about the rural women filling in the gender gap in agriculture at farmingfirst.org/gender-gap, or follow #FillTheGap on social media. Oumou Camara is IFDC’s deputy director for North and West Africa and a Farming First supporter.